The mission of Wageningen University & Research is “To explore the potential of nature to improve the quality of life”. Within Wageningen University & Research, nine specialised research institutes from the Wageningen Research Foundation and Wageningen University have joined forces to help answer the most important questions in the domain of healthy food and living environment. With approximately 30 locations, 5,000 employees, and 10,000 students, Wageningen University & Research is one of the leading organisations in its domain worldwide. An integrated approach to problems and the cooperation between various disciplines are at the heart of the unique approach of Wageningen. Two WUR institutes take part in the Animal Transport Guides project: Wageningen Livestock Research and Wageningen Economic Research. CENTRO RICERCHE PRODUZIONI ANIMALI S.p.A.
CRPA-Centro Ricerche Produzioni Animali (Research Centre on Animal Production) was first set up in 1972. Since then, it has been able to provide both the private and public sector with the benefit of its experience in the fields of agricultural food production and the environment. 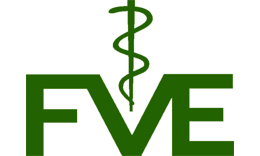 We are recognised by the European Parliament and Commission as the leading animal welfare organisation at EU level and represent animal welfare interests on many EU advisory committees and consultation bodies. Over the years we have been instrumental in achieving legal protection and EU standards which dramatically improve the way animals are treated. 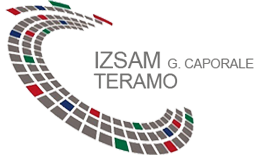 Main object of ELGO-DEMETER is to develop and / or support actions designed to modernize and develop the agricultural sector of the country, improvement of production processes, enhance competitiveness, certification of quality agricultural products and food, the establishment and certification of good agricultural practices and controls the production of milk-trafficking chain and meat in the country. FIP – The French Pork and Pig Institute anticipates future developments, unites and assists professionals of the pork industry. A Research & Development organization, we serve the economic actors bringing our experience, expertise, network of partners, and openings to the international market. The mission of Institut de l’Elevage is to improve the competitiveness of herbivore farming and related value chains. His work provides technical solutions to cattle, sheep, goat and equine livestock farmers and to value chain economic actors. One of the challenges is to provide answers to societal issues. IRTA is a research institute owned by the Government of Catalonia and it’s purpose is to contribute to the modernization, competitiveness and sustainable development of agriculture, food and aquaculture sectors, the supply of healthy and quality foods for consumers and, generally, improving the welfare of the population. IRU is the world’s road transport organization.We lead solutions to help the world move better, supporting trade, economic growth, jobs, safety, the environment and communities. 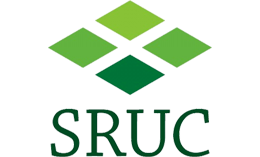 IRU’s work spans more than 100 countries. Our core constituents are national transport associations and transport operators. IZSAM is a public health institute with administrative and managerial autonomy, which operates as a technical and scientific arm of the Italian State and the Abruzzo and Molise Regions, performing analytical work for the public veterinary services and providing the technical and scientific collaboration necessary to enable them to carry out their functions in the field of veterinary public health. ITAVI aims to meet the expectations of poultry production, rabbit and fish in research and development; it is positioned at the interface between basic research and the field and as such plays an enhancer role of innovation. ITAVI allows chain actors to anticipate structural changes. Particular attention is paid to the reconciliation of competitiveness of sectors and expectations of society. 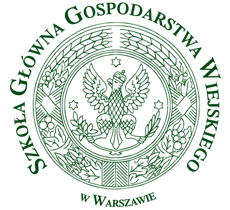 Warsaw University of Life Sciences was qualified to the top one hundred international universities in the field of agriculture and forestry. Scotland’s Rural College delivers comprehensive skills, education and business support for Scotland’s land-based industries, founded on world class and sector-leading research, education and consultancy. 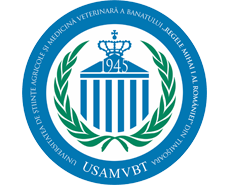 Banat University of Agricultural Sciences and Veterinary Medicine, Timisoara (USAB-TM) is located in Timisoara, Timis, Romania. It is locally known as Universitatea de Stiinte Agricole a Banatului Timisoara. The university was established in 1991. Practical EU guidelines to ‘Assess fitness of pigs for transport’!